The ACTS VITAL project - (Validation of Integrated Telecommunication Architectures for the Long term), partly funded by the European Commission, was aimed at demonstrating and validating the development, deployment, management, and use of complex heterogeneous service features on an Open Distributed Telecommunication Architecture defined in terms of reusable components and based on TINA. The service features considered for integration were multi-media, multi-party, mobility (personal, session, and terminal) and IN-like supplementary services. the delivery of an integrated teletraining application, deployed on the ODTA, proving the advantages of the architecture for fast service deployment and reuse of commercial applications. TINA-C Members in Vital have been Alcatel, CSELT, IONA Technologies and Portugal Telecom CET. The ACTS DOLMEN project (service machine Development for an Open Long-term Mobile and fixed network Environment led to a TINA compliant implementation of a service machine that covers both the service architecture and the network architecture. It includes three confidential layer networks, namely GSM, WLAN and ATM and extended the TINA architecture with techniques that arise from mobile requirements. DOLMEN was partly financed by the European Commission and was carried out by various companies and universities all over Europe, including as TINA-C Members KPN and Lucent Technologies Network Systems Nederland. 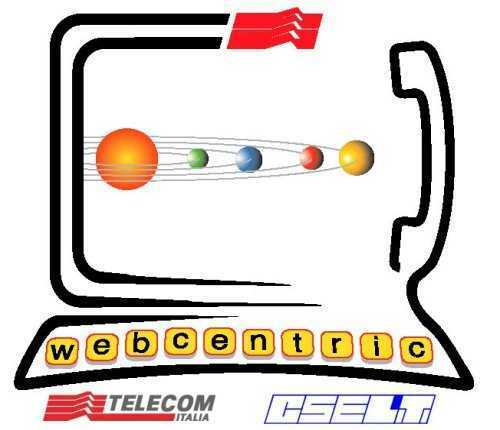 WebCentricTM is the brand name of a Network Centered Web Call Center, implemented and deployed by CSELT and Telecom Italia, which is presently under commercial trial. The service is implemented over a platform, which effectively supports all the service aspects, from creation to deployment, to efficient execution, to the different areas of management. This Service Platform is based on a lightweight version of the TINA Service Architecture and Network Resource Architecture, with a number of simplifications and optimizations allowed by the particular field of application (the Internet-Telecom service scenario) and by the chosen engineering environment. For this reason, such an architecture could be described as "TINA light", hence, "Lite". In the MESH project, the TINA architecture was applied to multimedia applications, including audio, video, shared white board applications. Areas of application include tele-consultation in the area of medical treatment (revalidation; i.e., medical advise from distance), tele-learning (courses given at different universities throughout the Netherlands) and meetings at different places throughout the Netherlands by means of the MESH system. TINA-C Members in MESH are Lucent Technologies and KPN Research. In the SATIN laboratory environment, a TINA service platform is connected to DTs and FTs IN switches via a TINA-IN Adaptation Unit. For more information, see the proceedings of TINA 99, session VII b on page 21. Alcatel Corporate Research Center and KPN Research jointly developed a couple of services on a TINA managed infrastructure to be demonstrated at the KPN booth at Telecom '99. The development is based on the Alcatel Mu3S platform, which is a pre-product based on the TINA architecture. Mu3S is used to transform an ADSL/ATM and IP broadband infrastructure into an Open Service Marketplace allowing third party service providers to easily offer their services over the infrastructure.